Mike oversees the design and user experience of BostonGlobe.com. 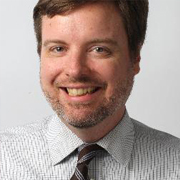 He joined the Globe in 2011 after 14 years as a print and online designer at The Baltimore Sun, where his work was recognized by the Society for News Design. 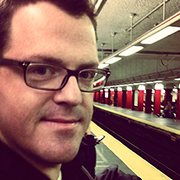 Russell works with data and multimedia to create visualizations and interactive stories. He believes homing pigeons are the news carriers of the future. 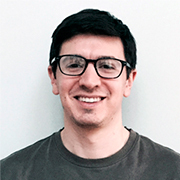 Gabriel is a data graphics reporter at the Boston Globe. His previous jobs include writing software to keep track of trains, helping Alaskan legislators file campaign disclosures electronically, and visualizing data for health policy NGOs. 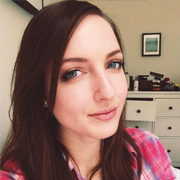 Elaina is a designer with a knack for clean UI and delightful, accessible user experiences. She disagrees with Russell and believes mail cats are the news carriers of the future. Brendon is a UX Designer from the mid-west still clinging to the hope of finding good BBQ in Boston. 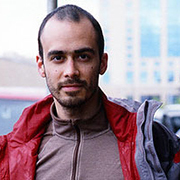 He spends his time working on challenging design problems with very smart teammates. He has a penchant for fermentation and long long commutes. When not working on the UX for the Boston Globe, you can find Brendon asleep.